When I started this blog, I knew that Pinterest was going to be a key part of my online marketing strategy. I loved Pinterest as a user. 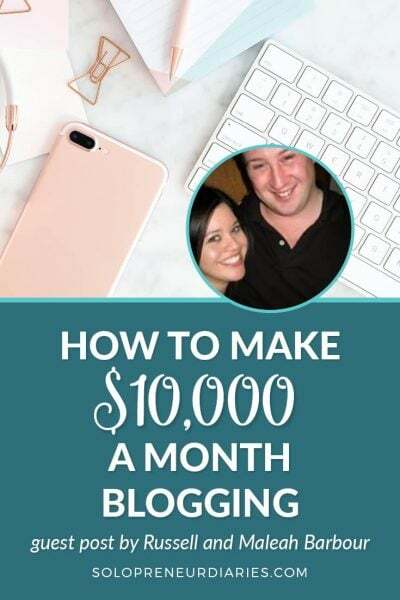 And as I was doing marketing research for the blog, I could see the success that other people were having with Pinterest. So it was a no-brainer for me to go all-in learning the platform. I’ve read a LOT of blog posts. I’ve taken courses and read books. But most importantly, I’ve tried and tested a lot of different strategies and tactics. And in this post, I’ve pulled together seven Pinterest marketing strategies that will help you grow your blog and online business. Is Pinterest a social network or a search engine? But before we get into the strategies, let’s take a look at the basics. Yes and yes. Pinterest is a weird sort of hybrid. It’s not a social network in the same way that Facebook and Instagram are. It’s not a search engine in the same way that Google is. Search is massively important on Pinterest and you absolutely need to know how to optimize your Pinterest content for search (we’ll get to that below). But social engagement also plays a factor. You want other pinners to engage with your pins – by saving them and clicking on them. Pinterest uses engagement as a signal to surface your content in various feeds, which ultimately makes it perform better in search. So Pinterest is both a social network and a search engine. Search is massively important on Pinterest and you absolutely need to know how to optimize your Pinterest content for search. A corollary to the social vs. search question is whether or not followers matter on Pinterest. Again, I’m going to say “sort of.” Followers do matter, but not to the extent that they matter on other social networks. Pinterest uses information about who and what people follow as a signal that they are interested in that type of content. So, if you pin content about raising chickens, when someone follows you, they will see more of your content (good for you) and they will also see other content about raising chickens. Now, let’s move on to the strategies. 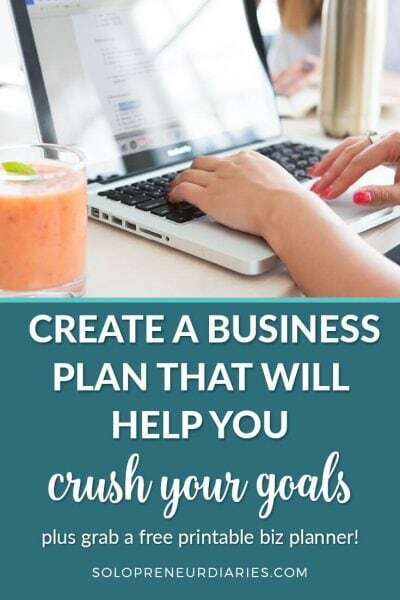 If you are new to Pinterest, then go here for an overview of how Pinterest works for business and guidelines on how to set up your account. I mentioned earlier that search is massively important on Pinterest. If you want to be a successful Pinterest marketer, then you need to learn how to optimize everything for search. That means using keywords in your profile description, board titles, board descriptions, pin titles, rich pin data, pin descriptions, and even your pin images. Everything is fair game when it comes to search engine optimization on Pinterest. Your profile name and profile description can both include keywords about your overall brand presence on Pinterest. Space is limited, so identify a few keywords that people might use if they were searching for the types of content that you pin. Pro-tip: you can use more characters when creating or editing your profile name on a mobile device than on desktop. So if you edit your profile on mobile, you’ll be able to squeeze in another keyword or two. Another place to use SEO keywords is in your board titles and descriptions. 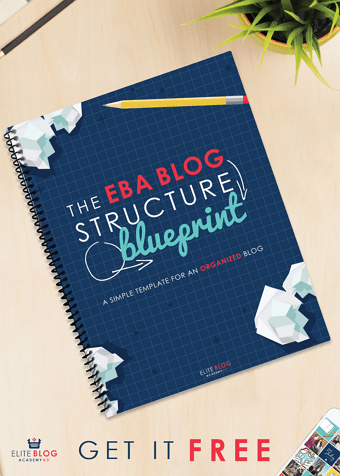 Use keywords that describe what the board is about and the type of content that Pinterest users will find there. Use the broadest keywords for the board title and get more specific in the board description. Your pin descriptions are the most important place to use keywords. Every pin description that you write should be keyword-rich. Pinterest prefers descriptions that are written in sentences because they promote a better user experience. So, write two or three keyword-rich sentences. 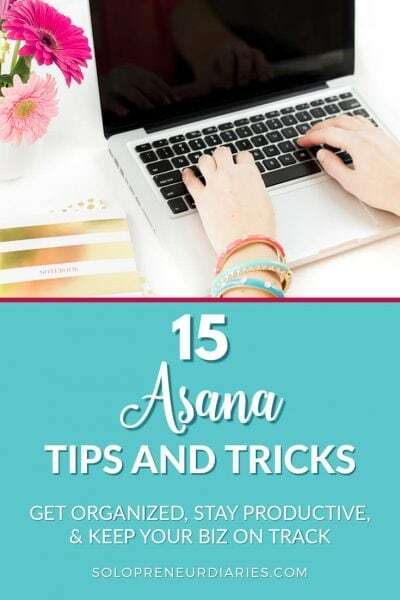 With a little practice, you will be amazed at how many keywords you can squeeze into a small space while still writing your sentences in a natural way. Using hashtags in your Pin descriptions can help your pins be found faster. Hashtags function as search terms on Pinterest, so you want to use keywords as hashtags. The recommendation for the optimal number of hashtags has fluctuated over the last year. I’m currently using two hashtags when writing new Pin descriptions. The “official” hashtag guidance from Pinterest changes frequently, so stay up to date by checking the Pinterest Content Tips page occasionally. Pinterest is a visual platform. SEO is important for getting your pins found, but great visuals are what make people stop and click. And we want the click. Start with a great image. Lifestyle images do well on Pinterest, so if you are making a pin about a product, show someone using the product. Make sure that your photos are clear, well-lit, and in focus. Crop your photos to improve the composition – this is also a good way to make stock photos more interesting and unique. What is the best pin size? Pins are typically vertical, as opposed to square or horizontal. Pinterest recommends an aspect ratio of 2:3, which translates to 600×900 pixels, 1000×1500 pixels, etc. I’m still seeing success with longer images (up to a 2:4 aspect ratio), but beware of the super-long “giraffe” pins, as they get cut off in the Pinterest feed. A text overlay gives people a quick idea of what your content is about. Text overlays usually include the title of the linked content (i.e. blog post, YouTube video, podcast, etc). You can also use a sub-title and a call-to-action. Pro-tip: your pin title doesn’t have to be the same as the “official” title of your linked content. In fact, Pinterest can be a great place to test different titles to see which one performs the best. 80% of Pinterest users are accessing the site on mobile. Make sure that the text you use in your overlay is clear and easy to read on a small screen. Limit your use of script fonts. And make sure that you have good contrast between your text color and background color. That makes the words more legible (and people are more likely to click on pins they can read). I use this free tool to check the contrast ratio for my pins. I shoot for a minimum contrast ratio of 3:1 for my text overlay. Create a set of Pinterest graphic templates that use your colors, fonts, and other brand elements. You’ll build brand awareness as well as develop a consistent image on Pinterest. And as a bonus, using graphic templates makes pin creation fast and easy. Pro-tip: If graphic design is not your strong suit, you can buy professionally-designed Pinterest templates at Creative Market. Pinterest loves fresh content, but you don’t have to kill yourself creating new content. You can create multiple pins that lead to the same landing page (blog post, YouTube video, podcast, etc.) Use different photos, change up the colors, try out a different title. You’ll find that different pins appeal to different audiences. In order to be a successful Pinterest marketer, you need to pin consistently. Pinterest would rather you pin every day than add a bunch of pins at once. 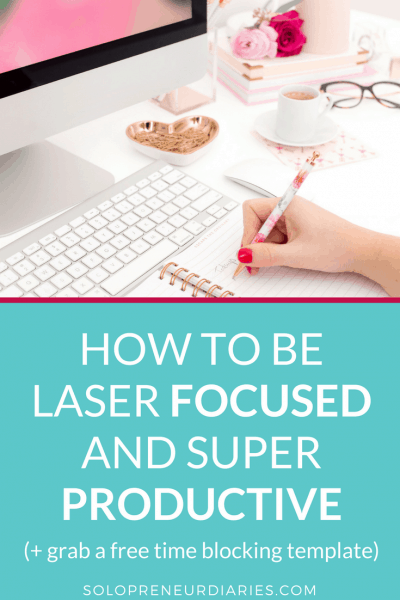 Another question I see often is “how many pins should I pin per day?” There is no hard and fast rule, but numerous Pinterest experts have suggested that there is no benefit to pinning more than 30 times per day. I’ve been testing this in my own account and find it to be true. 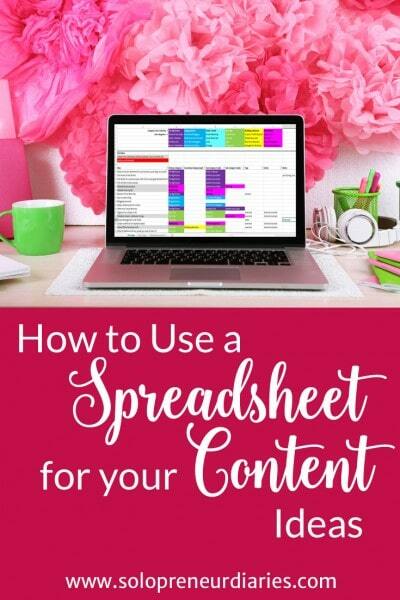 In order to pin frequently and consistently, you really need to use a scheduling tool. Pinterest is very picky, so make sure that you use an approved marketing partner. I use Tailwind for Pinterest scheduling because it allows me to schedule my pins in batches and still be active on the platform daily. I think we all know that video marketing is popular and only going to become more so. In addition to sharing videos that you have uploaded to YouTube or other platforms, you can now upload video pins directly to Pinterest. Pinterest has specific guidelines for directly-uploaded video pins, so here’s a link with instructions on how to create a video pin. Using analytics will help you assess and improve your Pinterest marketing campaign. Pinterest native analytics can give you insight into which pins are receiving the most impressions, saves, and clicks. You can also see which boards are performing well. Pinterest only provides data for the last 30 days, so their analytics are limited, but you can use it to see what’s working now. Tailwind also provides analytics which can be useful in determining which boards are performing well and which specific pins are being saved. Once you figure out what is working, you can leverage that information to create an even more effective marketing plan. Once you have a good handle on organic Pinterest marketing, then try your hand at promoted pins (i.e. Pinterest ads). Promoted pins are a great way to reach more people in a targeted way. Pinterest paid advertising can be quite inexpensive when compared to other platforms, such as Facebook advertising. It’s perfect for those of us with a small marketing budget. And promoted pins continue to work for you long after you stop paying for them, unlike Facebook ads. When other Pinterest users save your promoted pins to their own boards, those pins behave like organic pins and can keep driving website traffic for months and years to come. Pinterest scheduler – Tailwind is the Pinterest scheduler that I use and recommend. Learn how to market your online business with Pinterest – If you are looking for a course on how to use Pinterest to market your online business, this is the one I recommend, especially if you are in a business-to-consumer niche. Learn how to build your email list with Pinterest – This course will also teach you how to market your online business, but it has a much stronger emphasis on building your email list. Pinterest advertising course – The course I recommend to learn how to run promoted pin campaigns is closed right now, but you can get started with this free 3-day challenge. Pinterest is not a quick-hit platform. It takes time to learn how to use Pinterest effectively and to develop a marketing strategy that performs well. But, in my opinion, it’s time that is well spent. Pinterest can drive massive amounts of traffic to your blog or website and can be a truly valuable part of your digital marketing strategy. 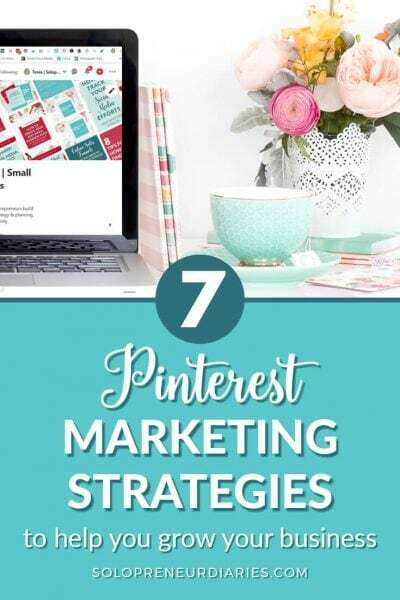 The seven Pinterest marketing ideas described here will help you build a strategy for success.